Thanks for tuning into our Charity Stream to build a school in Kenya. 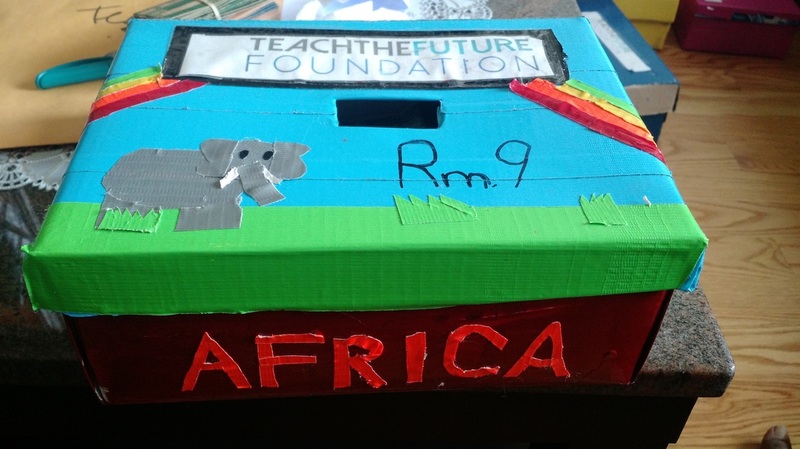 We were pleased that you guys constantly encouraged each other to donate for the education of the African Kidz. You guys were amazing and broke our goal of $8,000 and we would really like to thank you guys for that. We would also like to thank the amazing streamers, who were extremely entertaining and kind to involve in such a cause. Watching the streams and hearing the many shoutouts you guys made to our mission was truly awesome. Additionally, we would like to thank SyndereN for helping us set up the event, Kartik Rathi for helping us with his knowledge of Dota, and SirActionSlacks for helping raise a lot of money towards our cause. Thanks Everybody and we'll make sure to keep you updated with our progress. ​We were invited by Macy's to participate at the Macy's Shop For Cause event once again. It was definitely a great experience and we enjoyed giving talks to shoppers and selling coupons to help them save money on Macy's purchases. It was a great feeling to see the satisfaction people felt when they saved money on purchases and additionally helped African kids attain a brighter future. Stay tuned for more events such as this! ​We would like to really thank everyone at Blue Hills Elementary who truly helped make this fundraiser an amazing success! As a school you guys have raised about 5,000 dollars for the school we will build. Give yourself a pat on the back, because your donations will have an amazing impact on kids in impoverished areas. ​We have just wrapped up our fundraiser at Meyerholz Elementary School. Thanks for all your support! Together let's give education to all! Check out the video to the left that we took while giving our talk to the students at Meyerholz Elementary. ​We were one of four bay area nonprofits chosen for an event held by Macy's called Shop For a Cause. We sold coupons to support our nonprofit's mission. While doing so, we were able to give out amazing deals to customers who bought our tickets. I mean who doesn't want 25% off of everything for a whole day in Macy's, while getting the chance to help support those in poverty with no access to an education. Stay tuned for more events such as this one! ​We became an IRS Approved 501(c)(3) tax-exempt nonprofit on September 23rd 2014. We're very glad that we have attained this status since it will open up far more opportunities for us to progress as a nonprofit and get closer to achieving our mission goals. ​We went to Stanford Linear Accelerator Center (SLAC) to give a presentation to some of the finest scientists and professors in the world! It was a very exciting experience for us to have this opportunity and we received some very helpful advice in fundraising and ways in which we could make our school more environmental friendly. Some of the many professors that came to the event were Professor Winick, Professor Aina, and more. Thank you! ​We recorded a radio talk interview on KLOK 11 70 AM's show Hearts for Africa about what we do as a nonprofit and what inspired us to start TeachTheFuture Foundation. We were interviewed by Larry Walling, and the talk aired Sunday July 13th at 10:00. Thank you so much to everyone that listened and then later went on to contact us one by one. We appreciate it very much. To view the Interview, watch the video above! ​We were glad to be featured on the May 2014 Article of Siliconeer, a well known Bay Area Indian magazine. The article talks about us as students, what we do as a foundation, and much more. The article is online and the link is right below. Please check it out! ​We were glad to have our first ever elementary school fundraiser at Dilworth and Sedgwick Elementary. The fundraiser was a class-competition to raise the most amount of money and it was a huge success. We talked to the kids for about 30 min. about the problems in Africa, the importance of education, and how they could help us solve the problems. We ran the coin drive for two months and we were able to raise about 2,000 dollars total. Thank you for donating! We went to an talent show sponsored by MANCA. MANCA is an organization for all Indians living in northern California. We were able to set up a booth there and talk to many people about our mission to eradicate poverty through education. Thank you to everyone who came out to listen and donate in support of our cause. ​We realized that crowdfunding presented so many opportunities to us in terms of raising money for our cause. We set up an online crowdfunding campaign on fundraise.com and it went great. We would like to thank all of our donors and those who helped publicize it through social media! We were able to raise over $2,000. It gave us a great insight into what to expect and it helped us better understand how to use crowdfunding sites. ​​Our Car wash for Education event was a one-day event on December 14th, 2013 and it was a huge success! This fundraiser was just meant to spread awareness of the many problems yet we were still able to raise over $200. We just want to thank each and every one of you that was able to make it to our car wash. After washing cars in the sun for hours, we were also able to get a small taste of how African children feel everyday while doing their laborious jobs. We received our non profit status on February 10, 2014 from the state of California. This status has truly marked a milestone for our nonprofit and we would like to thank everyone who has supported us throughout this journey. We will always remember and thank you for your support. Before we were an official nonprofit organization, we went door to door to simply spread awareness about our purpose, the problems in Africa, and most importantly how the people can help. To date we've gone to over 2,432 houses and spent over 193 hours on door to door. Door to Door has been a successful fundraiser and definitely one we've enjoyed. We would like to thank everyone who has helped by donating and listening to our pitch.